We all know that having one password for dozens of sites and services is a bad move while remembering unique passwords for each is an exercise in patience. Solve this with 15% off Dashlane Premium password management, which syncs across all devices, for just $33/yr. Or, get Dashlane Free on a single device. You’ll also receive alerts about security breaches anywhere you have an account so you can update passwords immediately. 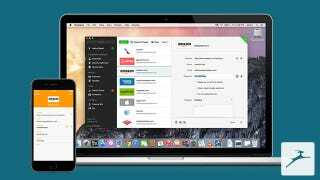 Plus Dashlane Premium not only syncs across all your devices, you’ll also get web access to your passwords even if you’re not using one of your devices and you can encrypt and back up your account on the cloud. Plus you’ll get priority in the customer support queue. Grab Dashlane Premium now and sync all your passwords across every device you own and saving 15%. Or, start with Dashlane Free and enjoy complete password management on any single device. Discount only available on the first year of Dashlane Premium.